We are a supplier as well as trader for all kinds of fingerprint systems like fingerprint scanners, fingerprint sensors, biometric fingerprint reader, fingerprint reader. 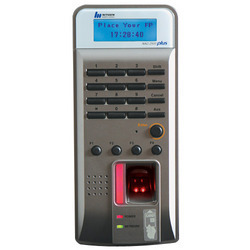 These finger print identification systems are widely used in commercial buildings, security establishments and centres. We provide customized packaging too. 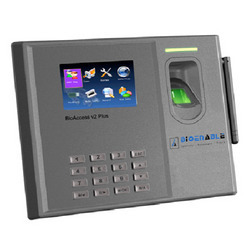 We offer Fingerprint Sensors - Bio Access V2 Plus. We offer Fingerprint Identification Systems - Hamster II. 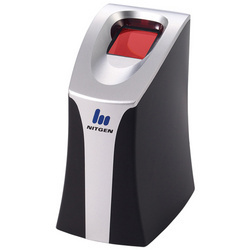 We offer Fingerprint scanners like Bio Access V3. Designed and produced using the international leading technology named "Fingerprint self Learning", the terminal is automatically suitable for different environments, even injured fingerprint and could achieve once enroll, all lifetime use. It adopts fingerprint total reflection collector that is most mature optical collector in the world whose surface is scratch-resistant and anti-abrasive. 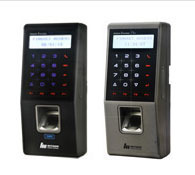 We offer Biometric Fingerprint Reader - NAC 2500 Plus. Capable of supporting various communication protocols, it can be used in numerous application areas > Suitable for employees work hour management .with the function keys provided. Supports various authentication mode, making it possible to configure as required by different security methods. We offer Fingerprint Reader - Hamster 1. Note : The product prices Range from Rs 10000 to 85000 per piece. FINGKEY ACCESS plus is a fingerprint access control system capable of speedy authentication with LFD function (Live Finger Detection) and supports key phone functions. It offers you enterprise level of Entry and Time Attendance management with its LAN communication-based network infrastructure enabling integrated monitoring and systematic management of multiple terminals operated independently on a remote location. Note : The product prices Range from Rs 38000 to 45000 per piece.